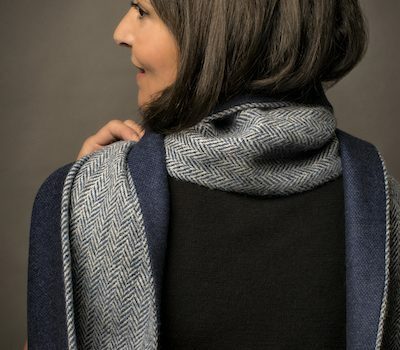 A unique, Scottish design, our limited edition signature scarves are a luxurious combination of beautifully soft Scottish cashmere paired with stylish Harris Tweed (wool) to give you unbeatable warmth and protection from the wind and rain. We take great pride in making a high quality, stylish accessory which bears the label Made in Scotland. Harris Tweed is made by the legendary weavers of Scotland’s remote Outer Hebrides, with wool spun and dyed in that same beautiful landscape. For generations, the rich hues of nature have inspired the island weavers to blend and hand-weave exquisite fabrics of timeless elegance. Each thread is, unusually, dyed before it is spun and this gives the cloth it’s unmistakable richness and depth of colour. 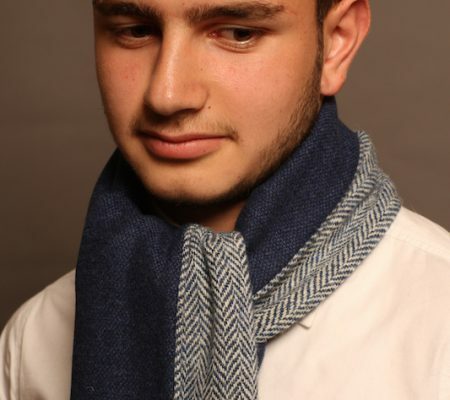 Our signature scarves are lined with the finest cashmere cloth, woven at Scotland’s most prestigious wool mills, suppliers to leading fashion houses around the world. Cashmere is a luxurious fibre which comes from the soft under hair of goats living in the mountains of Mongolia. It’s exceptional softness and warmth make it highly prized for luxury garments and Scottish mills have long excelled at spinning and weaving the fibres into beautiful cloth due to the softness of the water here. Choose from our selection of limited edition luxury scarves. 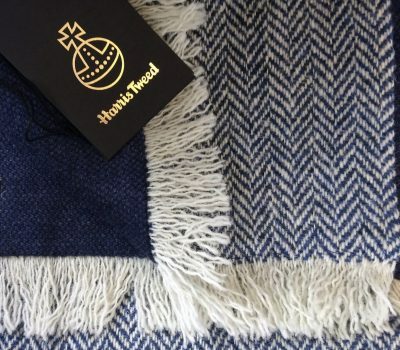 By law, Harris Tweed has to be woven in the homes of the Hebridean weavers and the famous Orb mark, always associated with Harris Tweed, can only be applied by the Harris Tweed Authority, and certifies the provenance and high quality of the cloth. Visit our online shop to see our range.